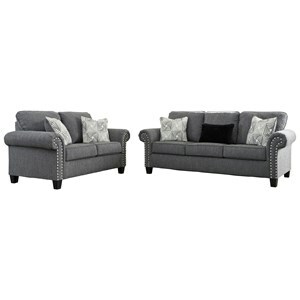 The Brighton Stationary Living Room Group by Klaussner at Corner Furniture in the Bronx, Yonkers, Mount Vernon, White Plains, Manhattan, NYC, New York area. Product availability may vary. Contact us for the most current availability on this product. Arm Type Rolled arms for comfort and traditional style. 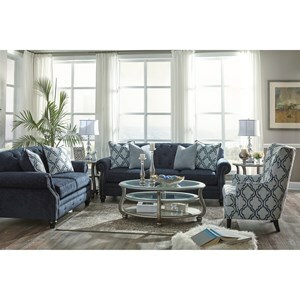 Relax into the comfort of the casual and contemporary Brighton collection and feel the stresses of life fade into the background. 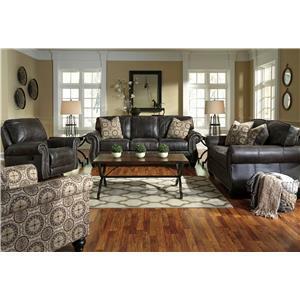 Each piece stands solidly in its casual contemporary styling to support your home decorating styles and desire for comfortable furniture in your home. 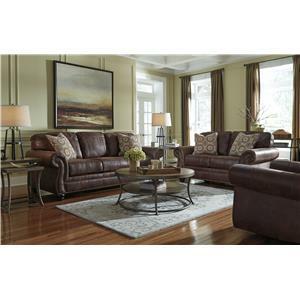 This sofa, queen sofa sleeper, loveseat, chair and a half sleeper and chair feature a tight back, traditional rolled arms, welt details, and two soft accent pillows. 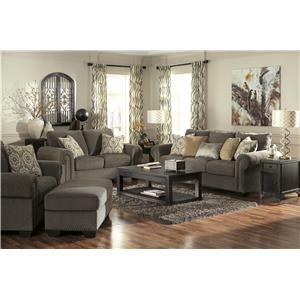 Take home the Brighton collection and it will brighten your home. 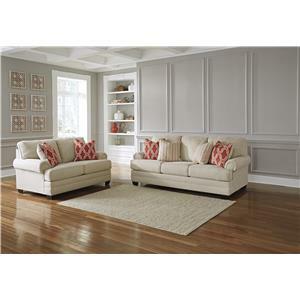 The Brighton collection is a great option if you are looking for Transitional furniture in the Bronx, Yonkers, Mount Vernon, White Plains, Manhattan, NYC, New York area. 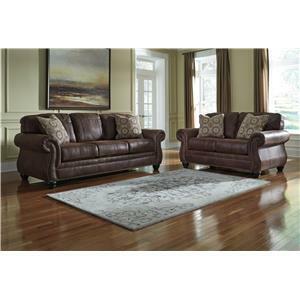 Browse other items in the Brighton collection from Corner Furniture in the Bronx, Yonkers, Mount Vernon, White Plains, Manhattan, NYC, New York area.